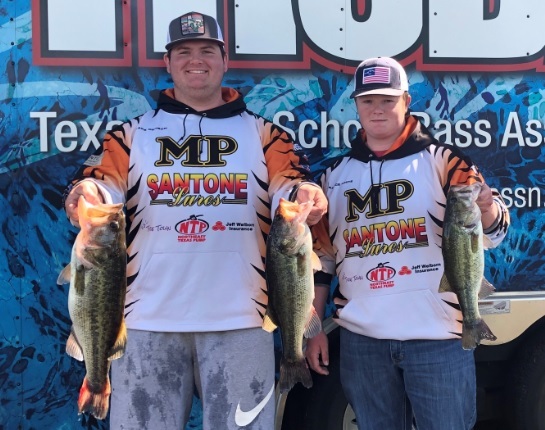 MPHS Fishing Teams qualify for State Tournament. 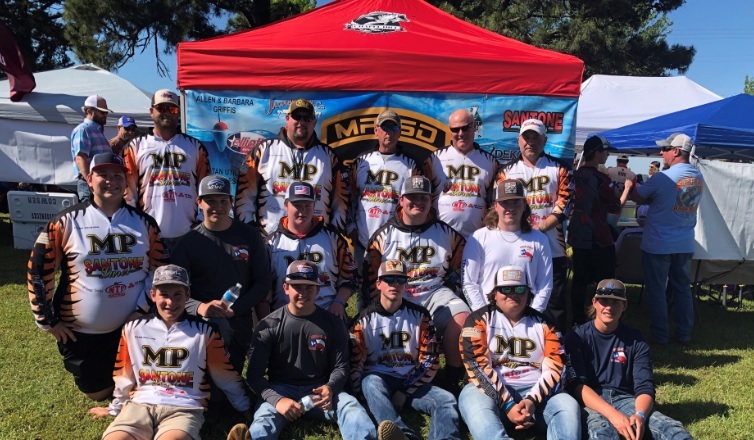 All five Mount Pleasant High School Fishing Teams were back on the water on Sunday, April 14, at Lake Palestine for the Texas High School Bass Association (THSBA) Regional tournament. MPHS will send two teams to state in May. Seniors Blake Denson and Rance White finished in 9th place with 14.88 lbs and will advance to state. 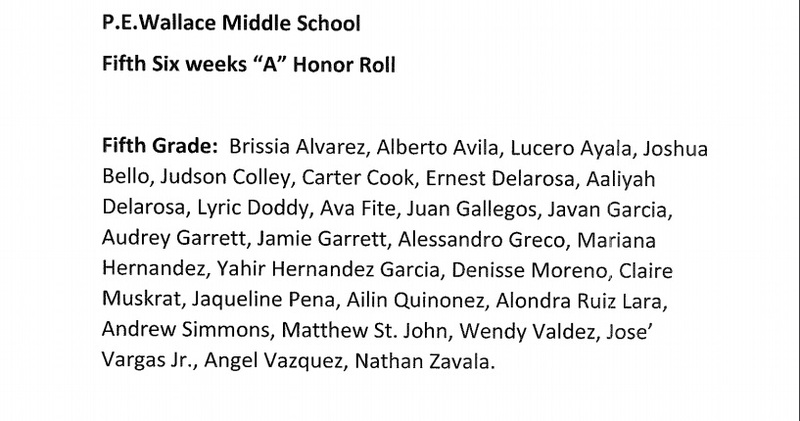 They earned rods and $500 scholarships. Senior Jordan Boyd and sophomore Hunter Mayfield weighed in 5.66 lbs and finished in the top 53, which allowed them to advance to state as well. 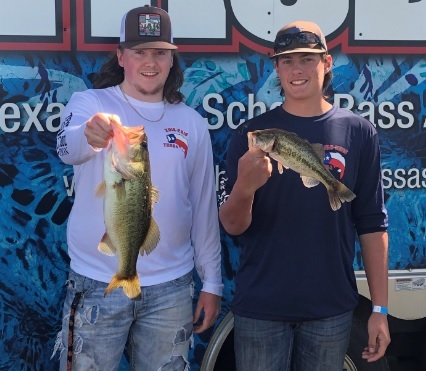 Also competing at the regional tournament were Tyler Miklos & Zeth Whittington weighing in 4.73 lbs., Zane Phillips & Tyler Welborn landed one weighing 3.94 lbs., and Ethan Cota & Bryce Bartlett. Boat Captains for 2018-2019 are Jeff Brown (Welborn & Phillips), Alan Denson (Denson & White), David Whittington (Whittington & Miklos), Daryl Boyd (Boyd & Mayfield), and Randy Hinton (Cota & Bartlett). The THSBA State Tournament will be held at Cedar Creek Lake on May 11 and 12. 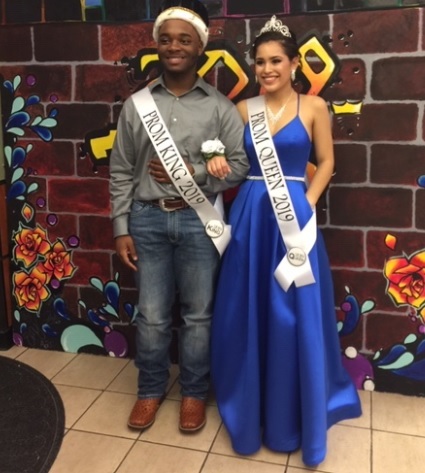 Mount Pleasant High School crowned seniors Britany Garrett and Tyrese Milton the 2019 Prom King and Queen on Saturday, April 6. Annie Sims, E.C. Brice, Vivian Fowler, and Frances Corprew Elementary Schools will hold registration for next year’s Kindergarten classes Monday (Apr 15) through Friday (Apr 26). Times are 8:00 am until 4:00 pm. Parents/guardians will need to bring a copy of the parent/guardian’s driver’s license, a copy of the child’s birth certificate, social security card, immunization records and proof of residence. Children need to be at least five years old on or before September 1, 2019, to register for Kindergarten. Parents should report to the school in their attendance zone. 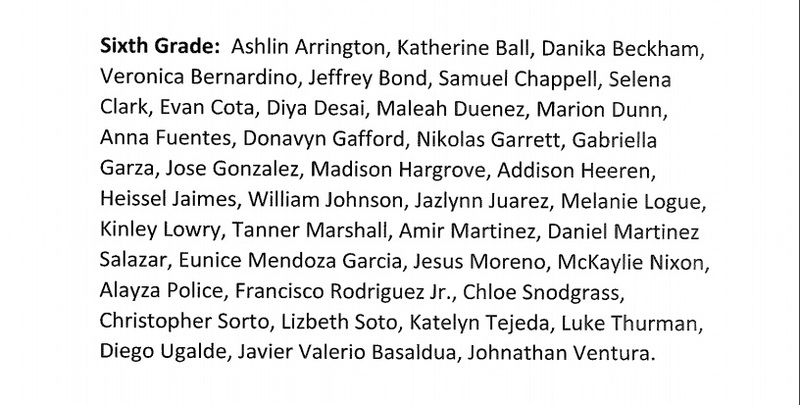 If you are unsure of which one you are located in, contact MPISD Central Administration at 903-575-2000 or one of the campuses: Brice at 903-575-2057, Corprew at 903-575-2050, Fowler at 903-575-2070 or Sims at 903-575-2062. The Attendance Zone maps are also on the MPISD website (www.mpisd.net) under the Resources: Parents tab and Attendance Zones.